The Fast & Furious franchise has evolved way past highway hijinks in Honda Civics. We’ve known the 8th movie is shooting on location in Iceland and Cuba, but these behind-scenes clips give us a good idea of just how much they’re actually blowing up. Spoiler alert: a lot. 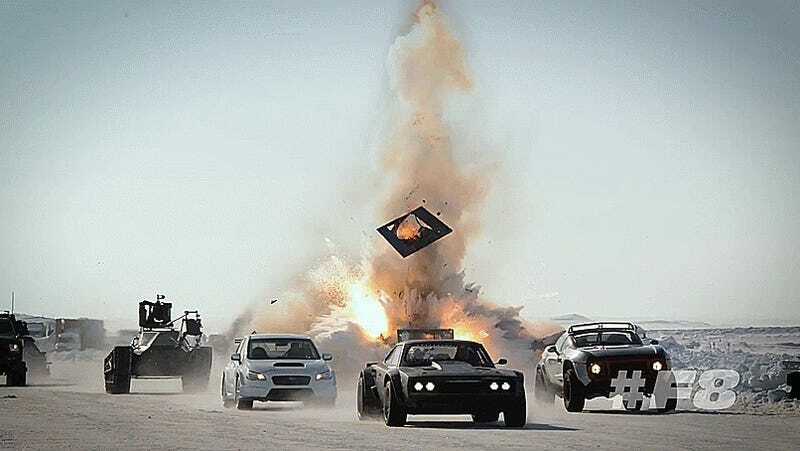 Some of these images started circulating earlier this month, and they were stitched together into one mini-feature that played before the 15th anniversary re-release of the original The Fast & The Furious in theaters last night. Anyway, seeing cars get chucked out of buildings, massive explosions set off on ice and some awesome old American iron was more interesting. These clips will bring you up to date on the making of Fast 8, slated for release April 2017. I miss PW, but I’m actually pretty excited to see this.